Starbucks baristas working through college are about to get an extra boost from their employer. The benefit is through a partnership with Arizona State University's online studies program. Employees can choose any of more than 40 undergraduate degrees, and aren't limited to only business classes. It's yet another unconventional move from the upscale coffee retailer. Starbucks bucked the trend, for example, when it continued offering health insurance for both full- and part-time employees as other companies dialed back offerings and blamed Obamacare. CEO Howard Schultz, who retook the company's helm in 2008 and turned around the slumping business, has also stood out among his peers for backing a boost in the minimum wage. He has made bold statements about gun control and Washington political gridlock. He described the new education initiative in grand terms: rebuilding the American Dream for employees, known as "partners," who are left behind in an economy that requires a degree. At the same time, the cost of education can be prohibitive. 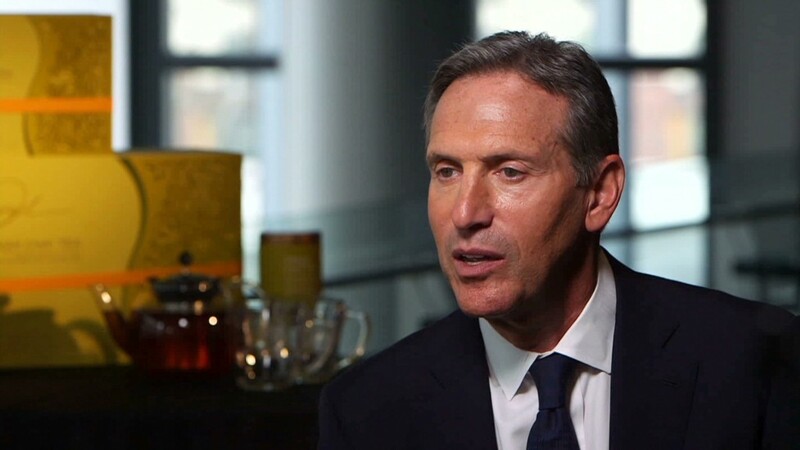 "The rules of engagement for running a company that is people-based like Starbucks, and so many other companies: you just can not continue to leave your people behind and only focus on shareholder value," Schultz told CNN's Poppy Harlow. "I feel so strongly this is the right thing to do and Starbucks as a company is going to benefit in ways that probably we can not identify today." He said most of the company's 135,000 U.S. employees meet Starbucks' eligibility standard -- working at least 20 hours per week. About 70% of them do not have undergraduate degrees. Those currently pursuing studies at another institution can apply to transfer their credits to Arizona State University.